Swanage Grammar School opened its doors in 1929 and finally closed them in 1974. 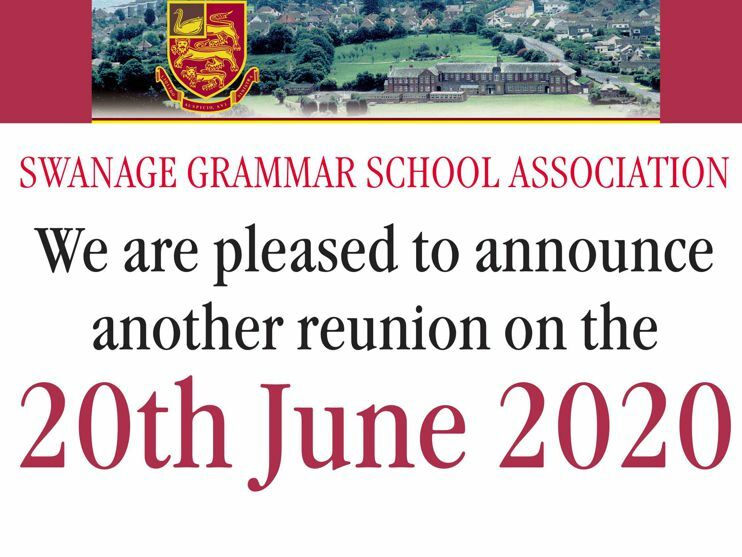 The Swanage Grammar School Association (SGSA) was formed in 1988 by its ex-pupils. Its objective is to encourage contact, fellowship and friendship between the community of ex-pupils - which was Swanage Grammar School. You can access the individual sections of the site by clicking the link buttons to the left side of each page, which will take you to the relevant page. The most recent reunion was held on the 17th June 2017, and plans for the next one in 2019 are underway please see the reuinions page for updated information and the booking form to secure your place at this years reunion. You can join the association by following the instructions in the "Join SGSA" link. The association welcomes and encourages contact and contributions from former pupils with photos, memorabilia: and messages from ex-pupils which will feature in the “where are they now” section. In the Photo Library there are many photos from our school days, some needing dates and identities to be established. Can you help to solve the mysteries? All the material on this website is the property of Swanage Grammar School Association © SGSA 2008 All rights Reserved.